Arcy Manufacturing Company Inc. has proudly been serving the marine, refinery, water, waste water treatment and related industries since 1934. Our mission is to provide high quality products, along with competitive pricing and fastest delivery available. Arcy Mfg. is a full-line distributor and manufacturer of sealing products. 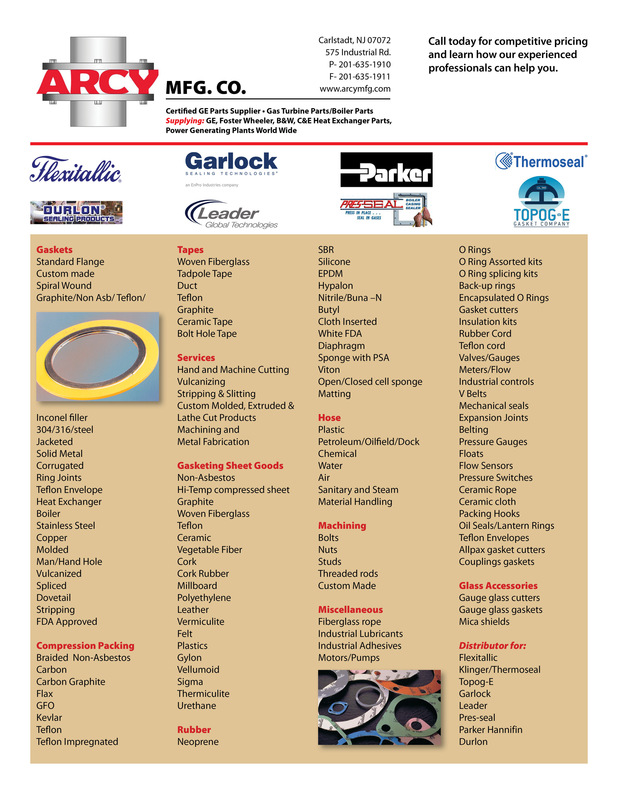 We stock thousands of items so your industrial gasket and sealing products can be delivered on time.